I just really wanted some popcorn the other night, so decided to make some. I have a microwave popper thing that I use — 2.5 minutes to get those kernels nice and poofy (I have learned the hard way that in my new microwave 3 minutes gets me a bad smelling, smoky kitchen and black popcorn). Ate a kernel and it wasn’t quite what I wanted; it was missing something. Opened some cupboard doors and then it happened — drizzled the popcorn with olive oil put some garlic salt on top, tossed it and BAM (trying not to thing of Emeril). That was perfection, and now it’s an addiction. Have had it several nights the past weeks. Oh. So. Good. I recommend giving it a try. As part of our tour on Waiheke Island, we got to visit an olive grove to learn about the olive industry in New Zealand. The place we checked out was Rangihoua Estate, which has been around since the late ’90s. We learned about the entire olive oil making process from picking the olives through processing them to putting the final product in a bottle. After that we got to sample! Some of the oils were very nice, some, for my taste were ok. Overall, great experience learning about everything and adding to the wine tour day. 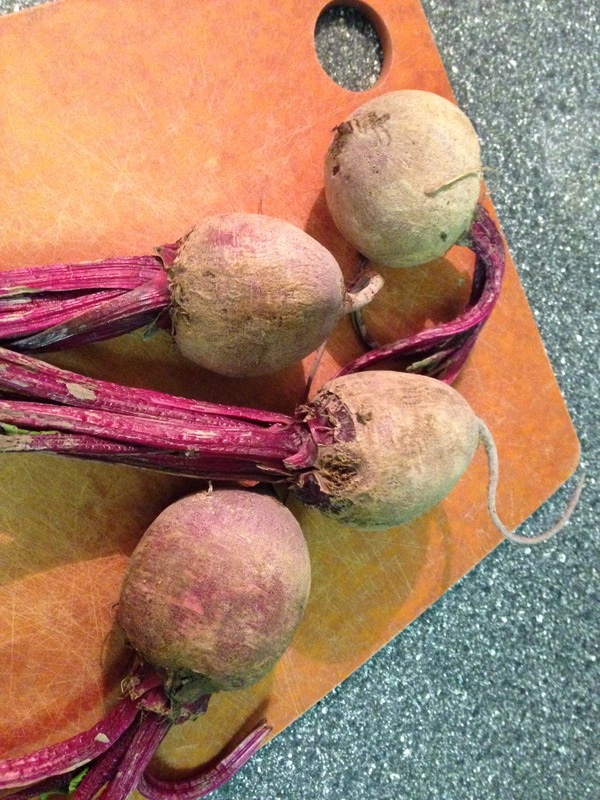 Found some lonely beets the other day that I had to use. Didn’t find anything exciting while researching recipes, so decided to just throw some stuff together. 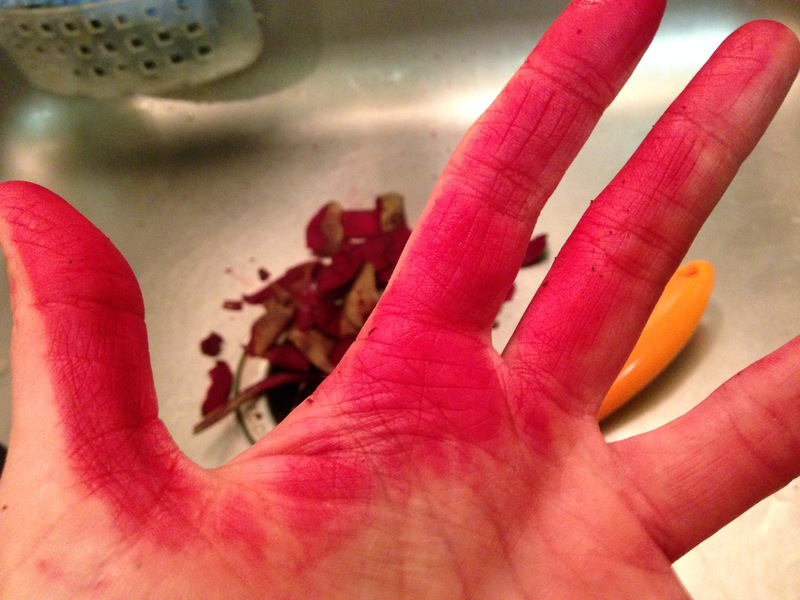 So, first the fun — taking those innocent beets and peeling them. And getting some beautifully colored hands in return (didn’t have any gloves). I hadn’t used my toaster oven for ages so decided to put it to good use since I didn’t have a ton of beets. 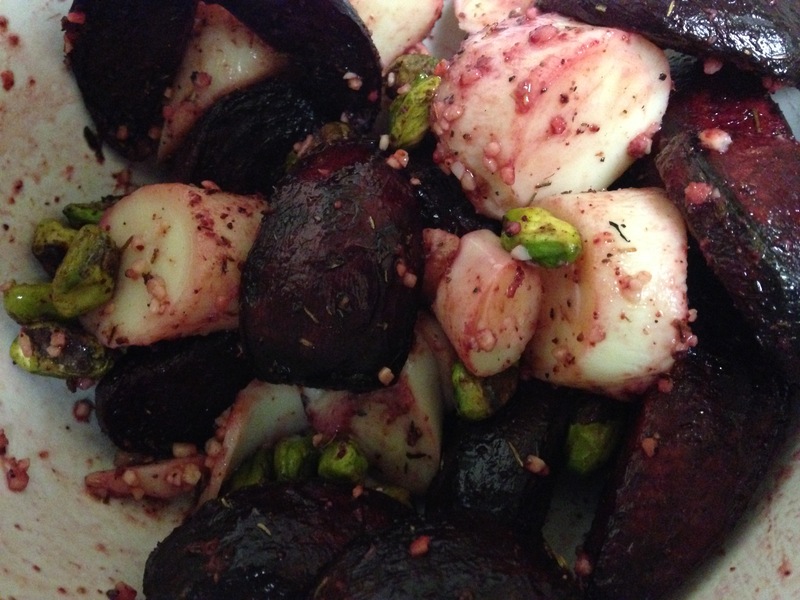 Warmed that up to about 425 and then tossed the beets with some olive oil, oregano, basil and a couple other spices. 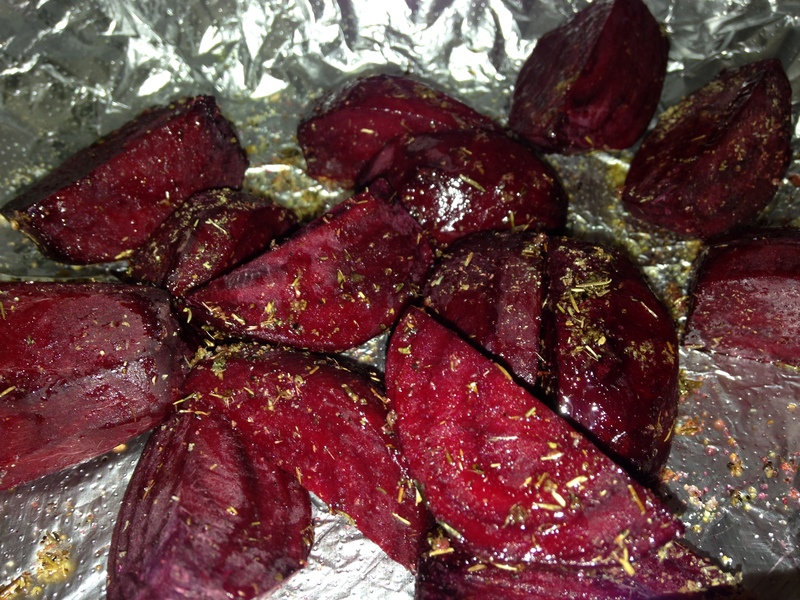 Covered the toaster oven sheet in foil and put the (quartered) beets on there. Roasted them for about 30-40 minutes, until they were done enough for me. 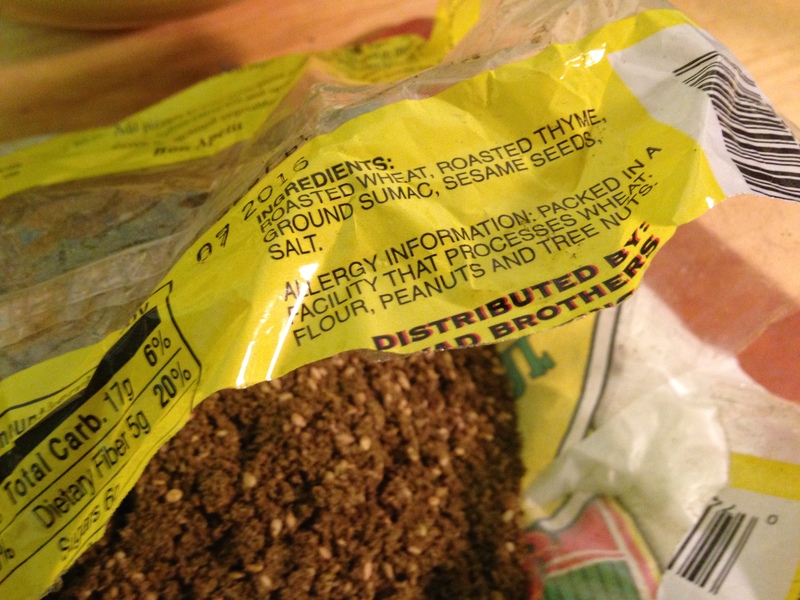 When they were finished, I tossed them with some hearts of palm and pistachios. So good! In the past week I’ve been making a bunch of great recipes that of course called for delicious fresh herbs. But, how much did I need to use? Oh, maybe 1-2 tablespoons. And how much did I have to buy? Oh, that entire huge packet at the store. So, these herbs are on their last legs and I have to use them somehow. So, what to do? Pesto! 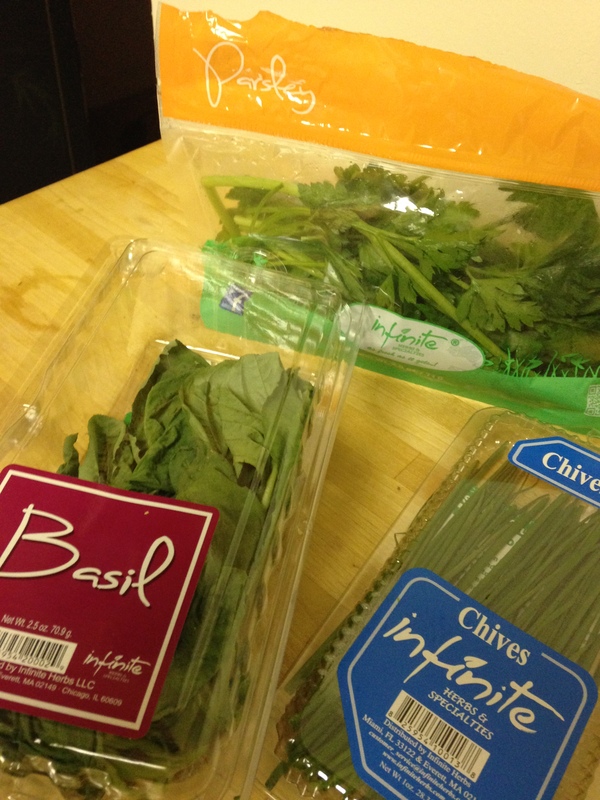 The main ingredients I needed to use were (flat leaf) parsley, chives and basil. Can you tell I shop at Trader Joe’s a lot based on the packaging? Got those sort of off the stems the threw them in the mini prep then decided what all to put in there. Opted to use lemon olive oil, tons of garlic (of course! ), a splash of lemon juice then opted for hazelnuts for a bit of a different taste. Oh, S&P, too of course. I can’t use the cheese because of the lactose intolerance thing, though if I had manchego on hand, I might have tried it. With all said and done, I had some very tasty green mush. 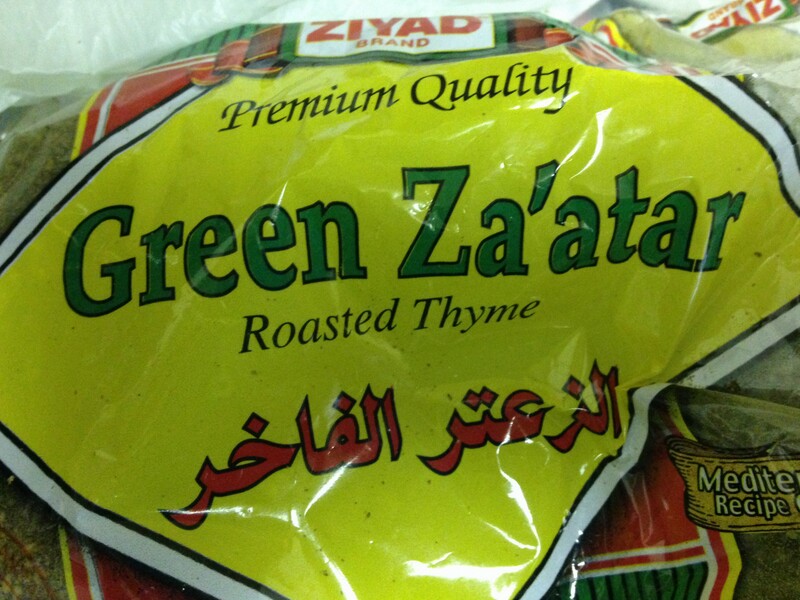 Will be great for pasta or just a veggie dip. I am the type of kitchen person who does not like to waste anything/throw it away. I won’t keep and keep, then keep and keep things forever in an attempt to use them, past their pull dates or until they’ve grown various levels of fuzz, etc. just to attempt to use them — that would qualify me for Hoarders (SO not going there) — but aim to make the most of my money. 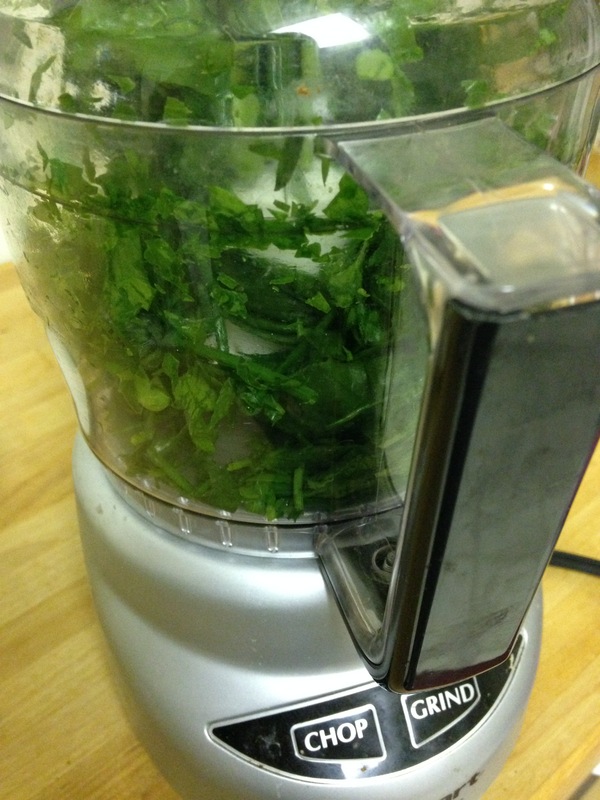 So, from Supper Club on Sunday, I had leftover fresh mint. As I’m typing this, I realize I could have saved cooking and just made Mojitos, darn…next time. 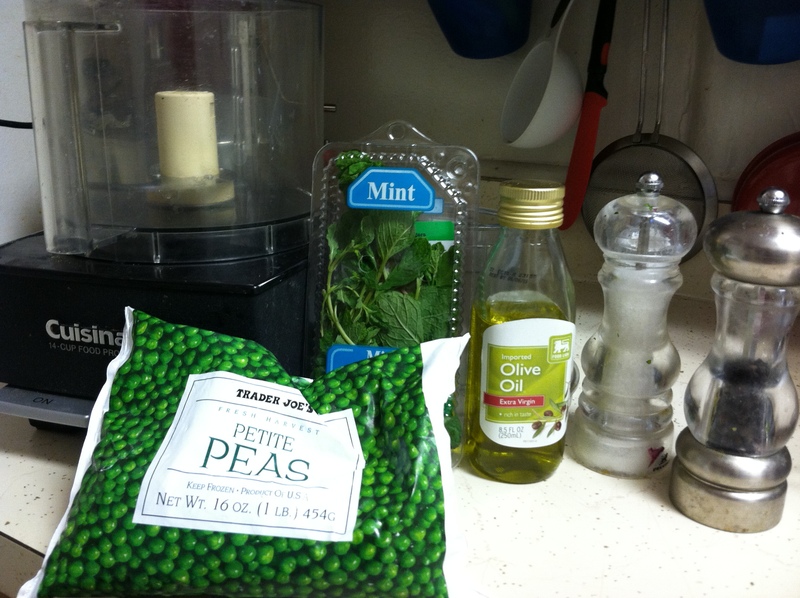 Anyway, one of my favorite quick, and beyond simple, recipes that I found years ago to use mint in is Mint Bruschetta. What do you need? 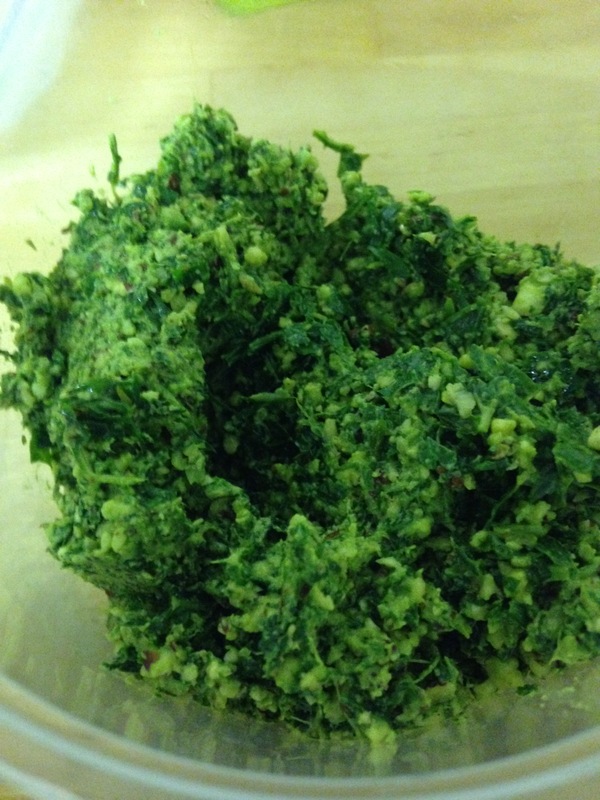 Just throw all of it in the food processor and blend to desired consistency. Season to taste. How much easier could it get??? End result? Green mush, right? But GOOD green mush. Then, after making this delicious mush, had to enjoy some wine. 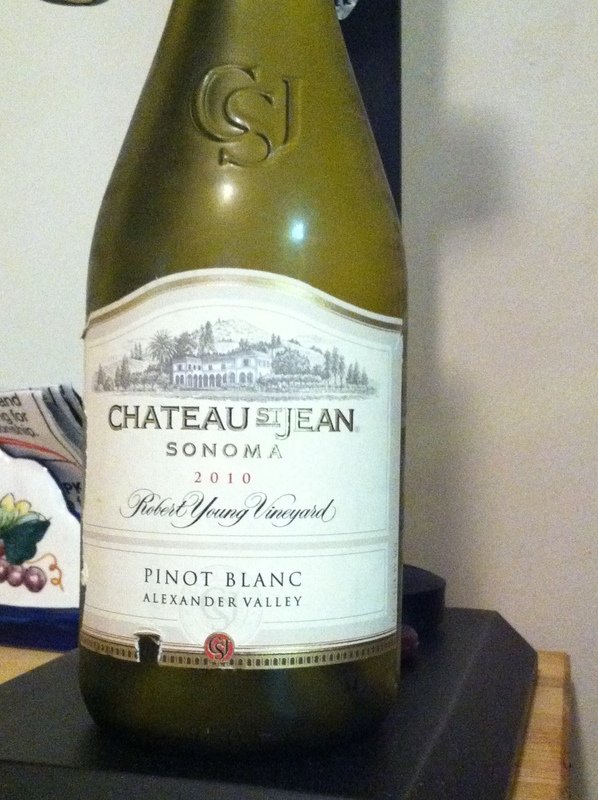 Went to my wine rack and found a bottle. I saw my scribble of $8 on the back of the bottle. That works. OH MY GOD, what am I drinking? Smokey, deep, heavenly bliss. Do peas merit this, does this merit peas? Well, the only thing that matters is that I deserve both. What am I enjoying? 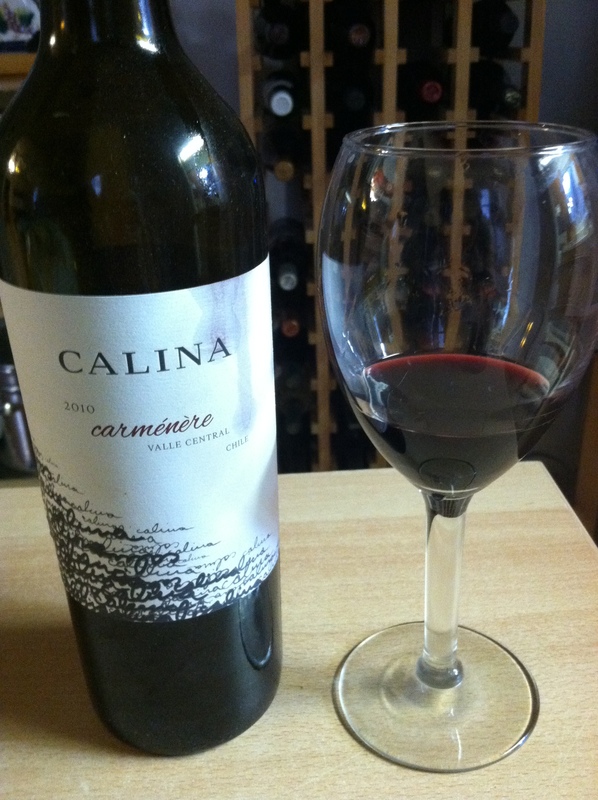 Calina Carménère. For only eight bucks, AMAZING. Check it out! After making biscotti last night I wanted to treat myself to a nice dinner. A grocery store had lobster tails on sale so I couldn’t resist that! Decided to just steam one, saute some spinach with garlic, get some tomatoes and a nice baguette to dip in olive oil & balsamic with Artisan Salt and pepper. 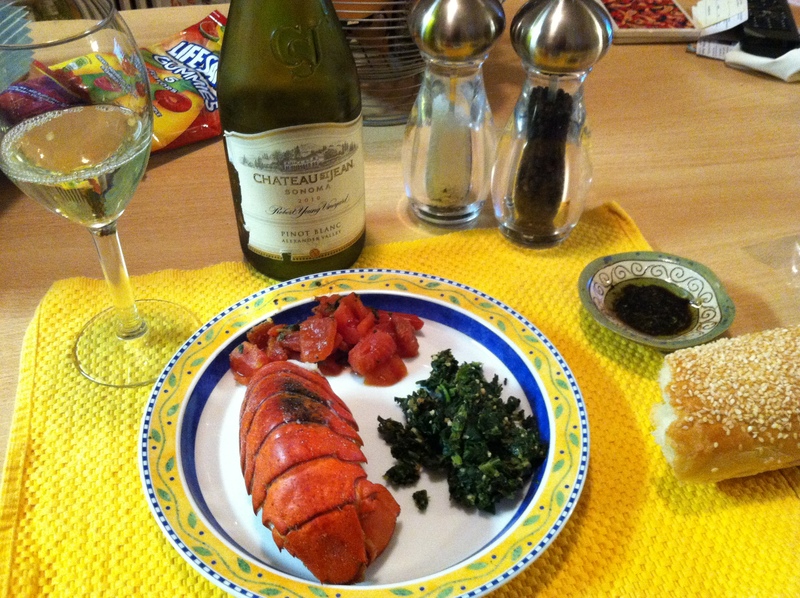 Served all that with a very nice Pinot Blanc from Chateau St. Jean. Perfect dinner for a Friday night.